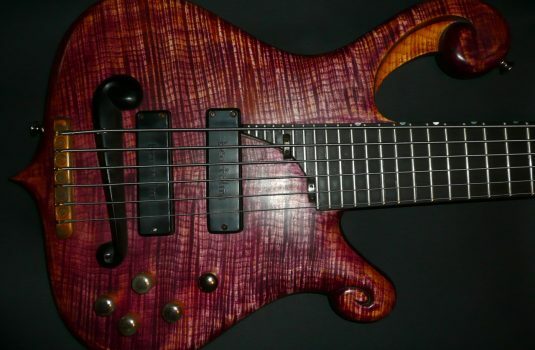 Jerzy Drozd Signature V/24 Here we have a higher-end beauty from Jerzy, the Signature model. 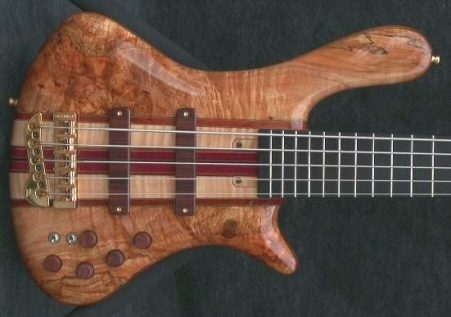 If you love gorgeous wood, this bass has it. 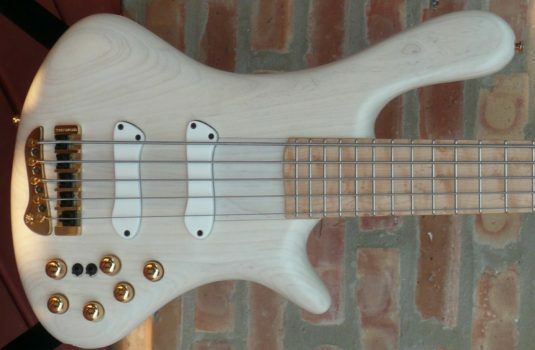 If you want a bass that plays and sounds incredible, this bass has it. Lets start with the body; the Burl Walnut body is topped by spectacular Spalted Maple, with matching headstock, of course. 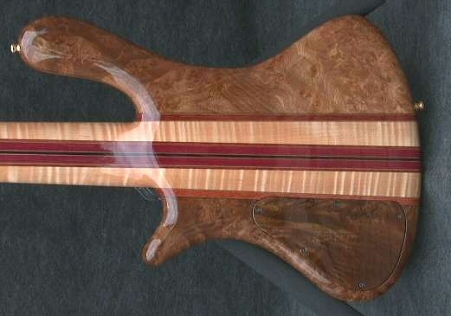 The 24 fret 35′ scale neck is 13 pieces of carefully chosen woods: Flamed Maple, Purpleheart, Wenge and Bubinga. The fretboard is Macassar Ebony. 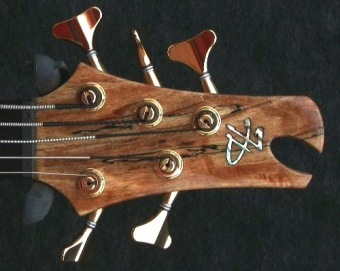 There are 2 truss rods for fine adjustment of neck relief, and 3 graphite bars in the neck for stability. 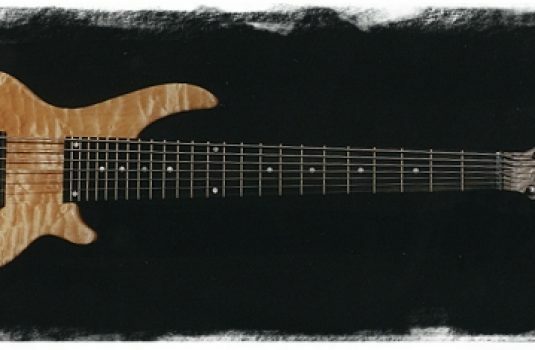 The pickups are Jerzy’s own proprietary design humbuckers, covered with Rosewood, to match the control knobs. The preamp is by Aguilar, the OBP-3, with active/passive switch and 2 position mid frequency selector switch. Gold hardware, with Jerzy’s own design 2 piece bridge. All in all, quite a bass! !